If you are not planning to use it all for soup, fill up an ice cube tray and that way you have the perfect little blocks of seasoning for cooking. 1. Combine chicken remains and water, bring to a boil. Turn down heat and simmer for 1 hour. 2. Skim fat off top and add in all the remaining ingredients. 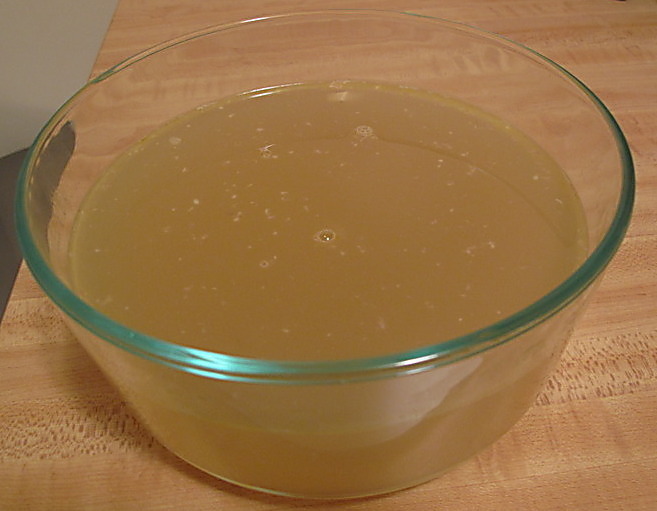 Continue to simmer for 3-4 hours, skimming the fat as throughout this time. 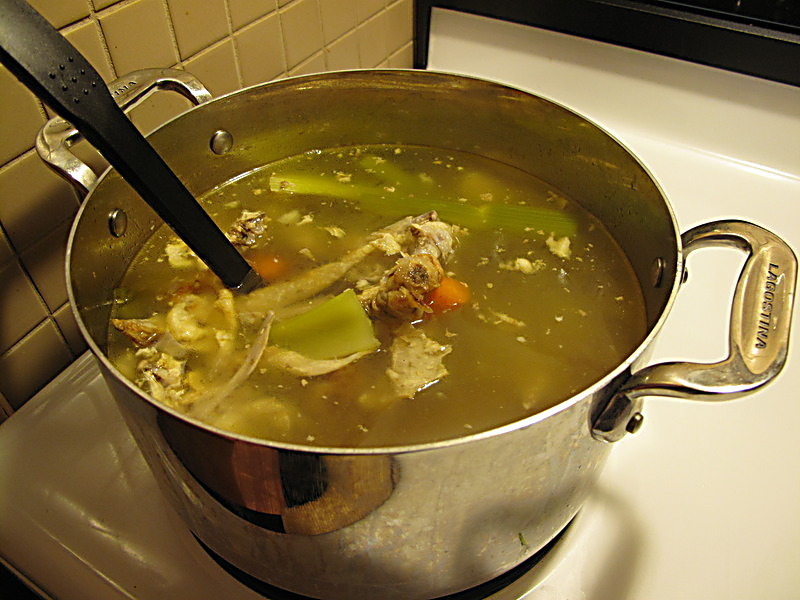 This entry was posted in Chicken, Soup and tagged chicken stock, leftovers, Recipes, soup by Karina. Bookmark the permalink.